Our collection of Superior Bungalows is tucked away amongst the shady gardens within easy reach of the resort restaurants and swimming pool. 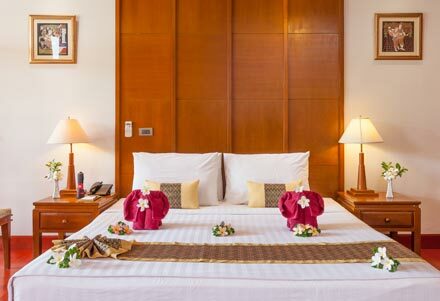 Hide away in spacious and private rooms with elegant Thai interiors and a full range of modern amenities. 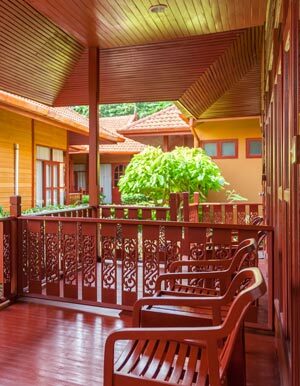 The balcony is very large and furnished with a daybed to lie back and feel closer to nature. Inside this Phi Phi Island hotel room there is a sitting area, dressing table and plenty space to unpack and unwind. 45/9 Moo 8 Leamtong Beach, Phi Phi Island, Ao Nang, Muang, Krabi, 81000, Thailand.